Megastar Chiranjeevi’s upcoming film Chiru 151 is titled as Sye Raa Narasimha Reddy and the regular shooting is going on. According to the latest update, for the latest schedule at the Aluminum Factory, the film’s team has erected a grand set that replicates the Koilkuntla Treasury. This was the place where Uyyalawada Narasimhareddy ransacked and announced his revolt against the British. Several stunning action episodes will be canned on the latest schedule. Surender Reddy is directing this highly-anticipated drama. Nayanthara and Pragya Jaiswal are the film’s leading ladies. Amitabh Bachchan, Jagapathi Babu, Sudeep and Vijay Sethupathi will be seen in crucial roles. MM Keeravani will be scoring music for this movie. 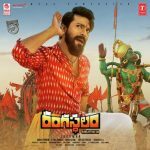 Ram Charan is producing this historical magnum opus with over 150 crore budget under his Konidela Productions banner.